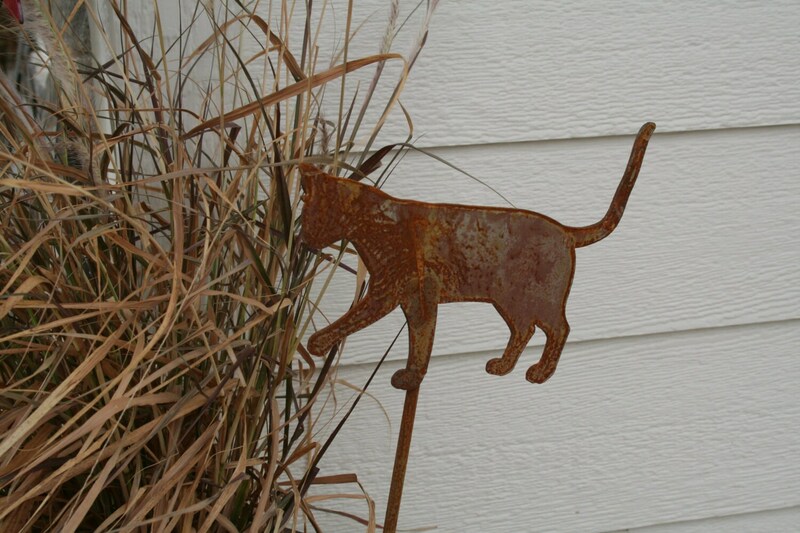 Rusted Cat garden stake is perfect for your landscape or small enough to stick into a flower pot! 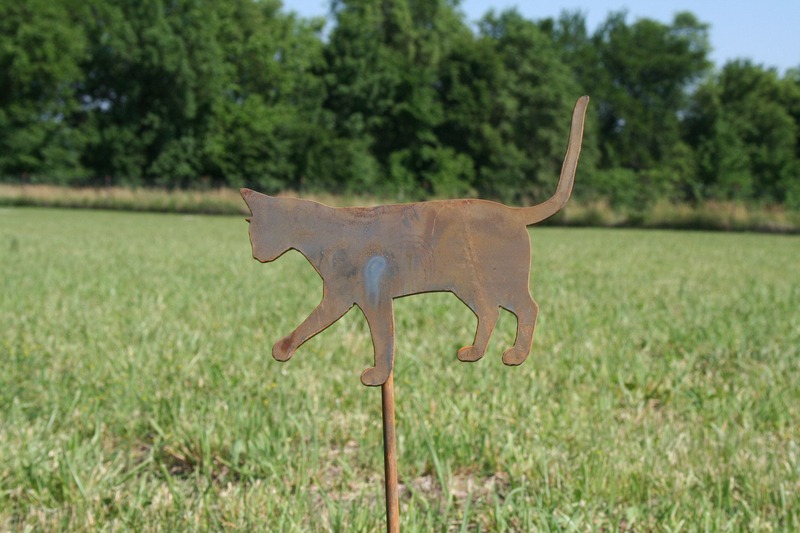 The cat profile is 7 1/2" wide, and the stake is roughly 20" tall overall. 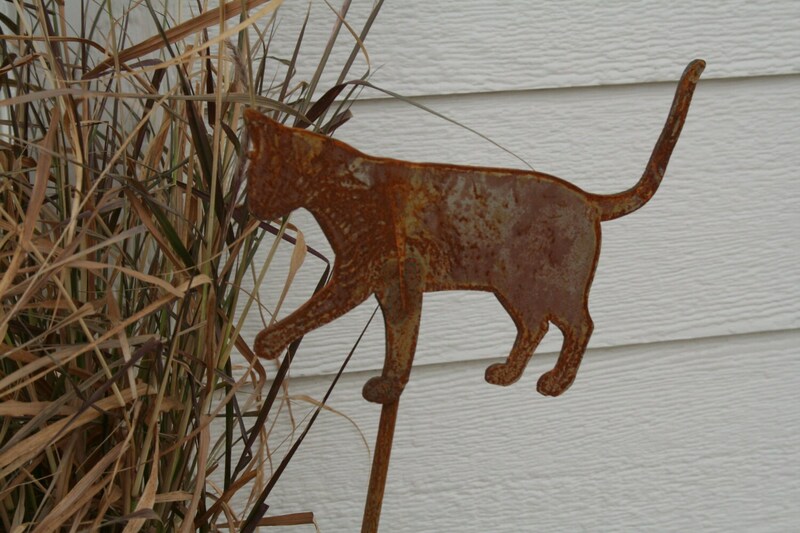 The cat is cut from thick steel, so this stake is light-weight but sturdy. 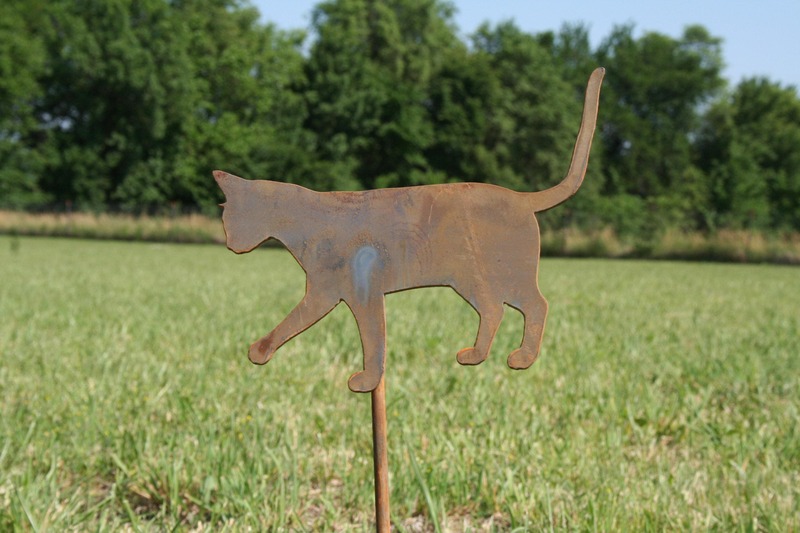 This rusted kitty stake will add the perfect charm to your landscape or garden -- makes a great gift! 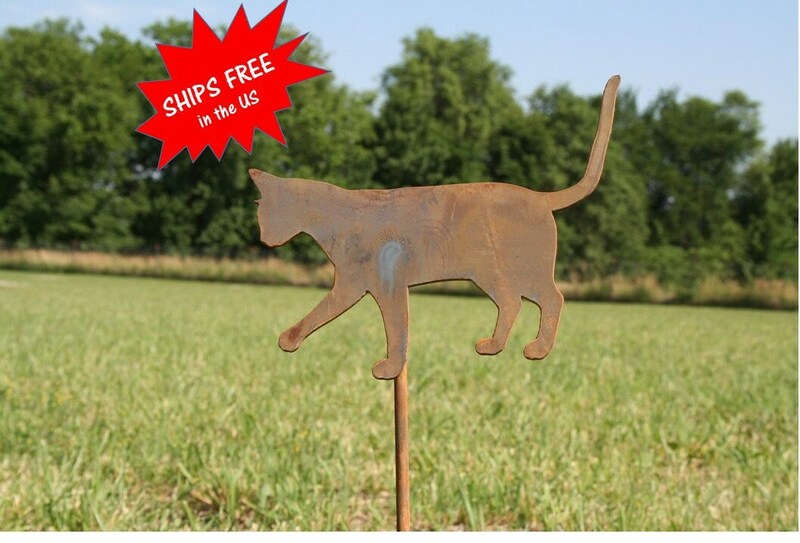 Please note that this item is made of naturally rusted steel. Irregular colors are to be expected, and with time outdoors the entire item will turn a golden rusty brown. Rusted steel can stain fabrics and leave residue on your hands. Please be aware that the item may have sharp edges. Gardening gloves are recommended. This item is not intended as an indoor product. 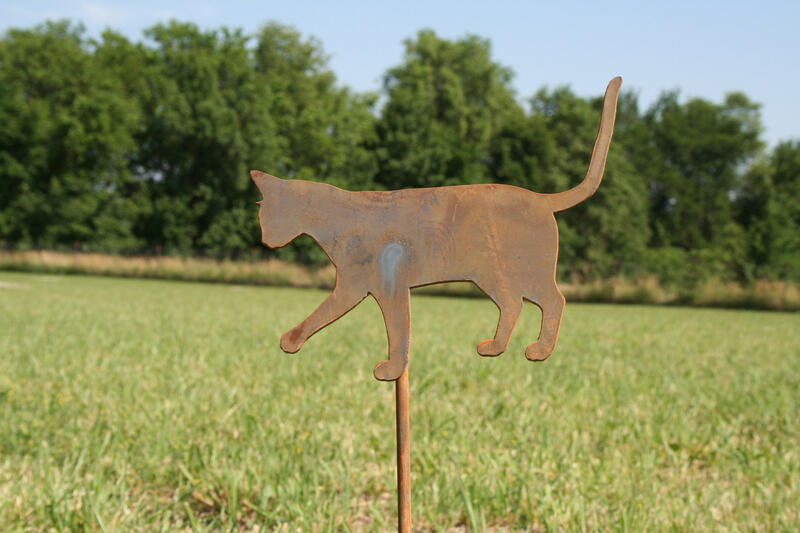 We hope you'll love our garden art as much as we love making it! Very sweet, it is small but you can notice it in the garden. Perfect 85th birthday gift for my mother’s garden! Love this little cat !